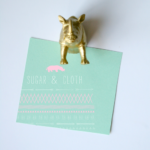 project, photos and tutorial contributed by Kathleen of Snow Drop and Co. 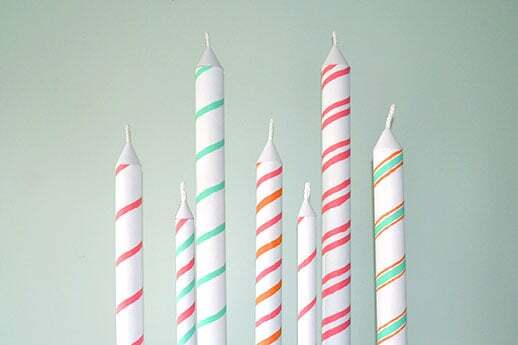 Does a birthday go by without candles? I’d say they’re a necessity to celebrate turning a year older! 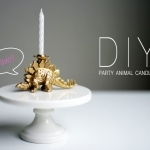 In today’s DIY, learn how to repurpose plain mailing tubes into giant candle decorations for your next birthday party. 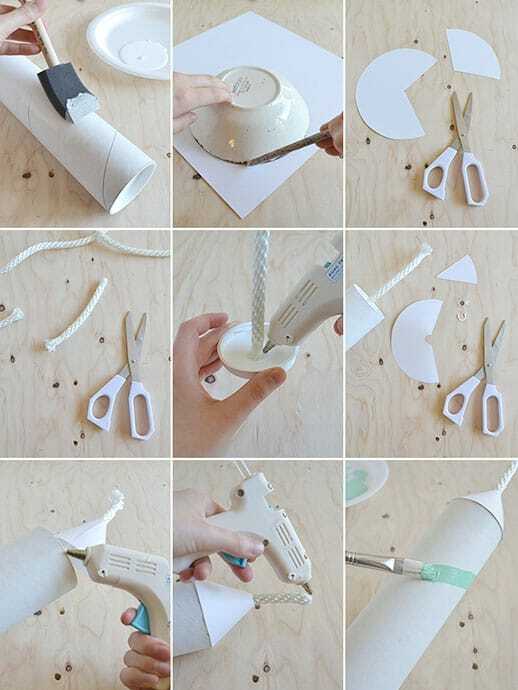 Looking to create a little birthday surprise? 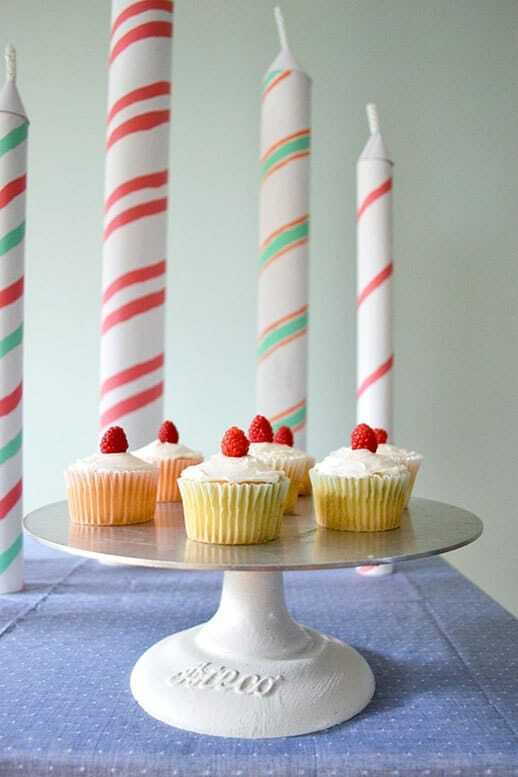 Try lining them up at the entrance to the party or while the birthday boy/girl is sleeping, fill their room with candles for a morning surprise. 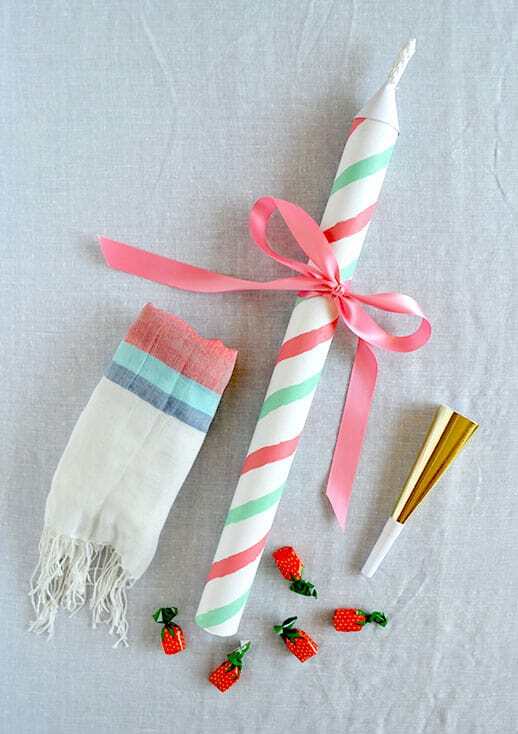 The added bonus of using mailing tubes is that they can still be used as packaging – fill the candles with small or soft items for a fun and unexpected gift box. Step 1: Paint your mailing tubes with white paint – the tubes I bought were slightly grey and had marks on them from the store, so the white paint just cleaned them up a bit. If your tubes are in good shape, you can skip this step. 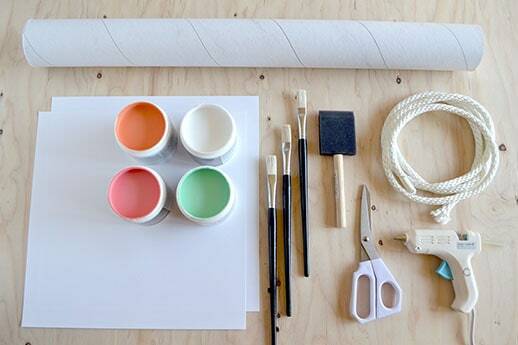 Step 2: While the white paint is drying, draw a circle onto the white cardstock. Step 3: Cut out the circle and a wedge so that it forms a cone to fit the top of the tube. Step 4: Cut a piece of rope about 5” long. If your rope tends to fray, use tape to prevent this. Step 5: To form the wick, hot glue the rope to the centre of the mailing tube’s lid. Put back onto the mailing tube. Step 6: Now that the rope is attached, you can better adjust your cone to fit the tube. Cut out a bit of the centre to accommodate for the rope and hot glue the cone together. Step 7: Put hot glue around the rim of the tube and attach to the base of the cone. Step 8: Remove the tape from the rope and use hot glue to prevent fraying. Step 9: Paint stripes using the spiral line on the tube as a guide. I found it best to let one spiral dry before adding another line – that way you don’t have to worry about smudging the wet paint. 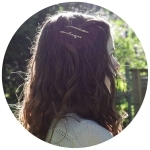 aaaw this is fun and a cute idea, thank you for the tute and the sharing, love it.!!!! love these!! I’m soo making them for the next bday party! 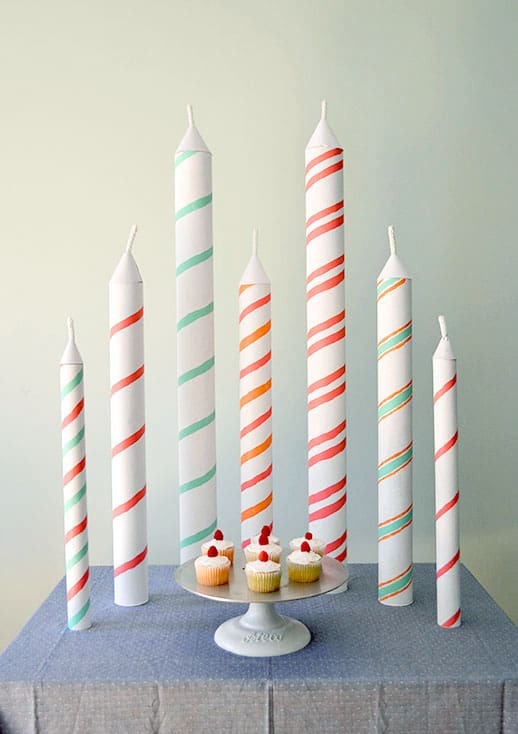 WOW, i will never look at a birthday candle the same again, the small ones are being thrown out! These are about the cutest thing ever. 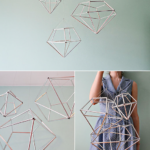 Such a cool idea – love this! Vaya ideón!!! Me encanta!!! Creo que las haré para utilizarlas no sé cuando, pero me es que me encantan!! I love these amazing candles! 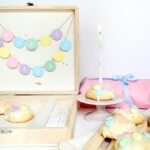 I’m sharing on my 8 Paper Crafts for Birthday Round-up! Thank you for sharing this awesome idea!